Georges Lemaître - Google celebrating 124th Birthday - Father of Big Bang Theory - IAS - Daily Current Affairs, IAS Syllabus Exam Strategy, IAS Preparation. Georges Lemaître was a Belgian priest, physicist, and cosmologist who made one of the greatest discovery in modern cosmology in 1927 — our universe is expanding. Four years later, he proposed that the universe began with a “single quantum” — what we now call the big bang. A civil engineer, Lemaître served as an artillery officer in the Belgian Army during World War I. In 1923, he was ordained a priest. He studied at the University of Cambridge’s solar physics laboratory (1923–24) and then at the Massachusetts Institute of Technology, Cambridge (1925–27). Today is 124th Birthday of Georges Lemaître. He was born on July 17, 1894, in Charleroi, Belgium and died on June 20, 1966, in Leuven. Yet the public and many scientists remain unaware of Lemaître’s seminal achievements. 1922 - Alexander Friedmann (Russia) developed his own dynamic solutions to Einstein’s field equations. 1927 - Georges Lemaître published his paper in French in which he proposed a linear relationship between a galaxy’s distance and its redshift. In general, the further away a galaxy is, the greater its light is shifted towards the red end of the spectrum (lower frequency). Lemaître reasoned that on its long journey to the Earth, a galaxy’s light is stretched in frequency by the expansion of space itself. The longer the light’s journey, the more the universe has expanded — thus the greater the light’s stretching or redshift. 1929 - Edwin Hubble — unaware of Lemaître’s paper — published same redshift/distance relationship using similar data. 1933 - Along with Einstein, Lemaître gave lectures in California. 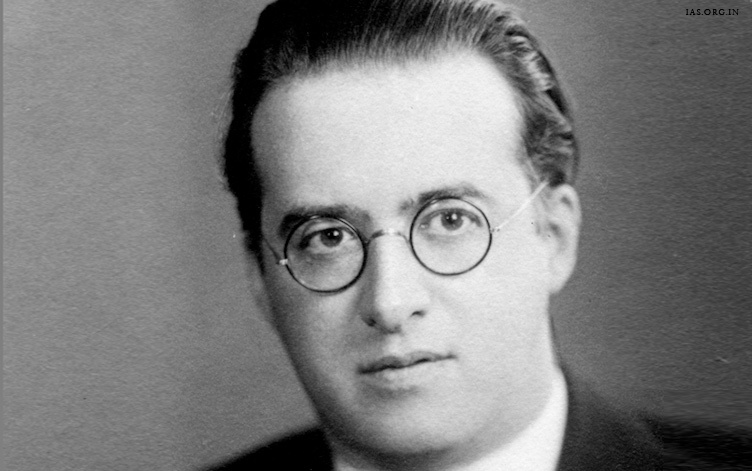 Lemaître also did research on cosmic rays and on the three-body problem, which concerns the mathematical description of the motion of three mutually attracting bodies in space.